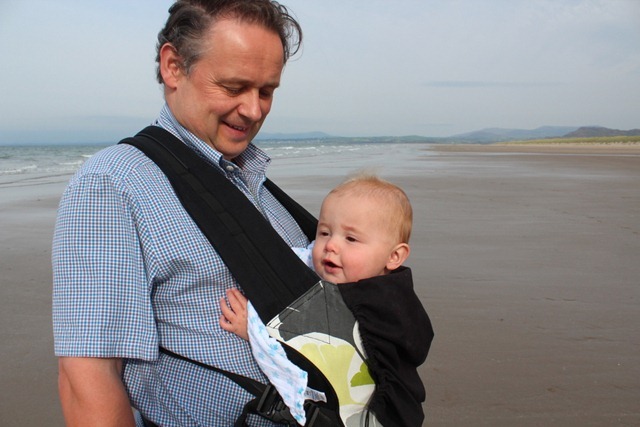 Our first holiday with Thomas, now aged 7 months, it promised to be rather different from previous ones! 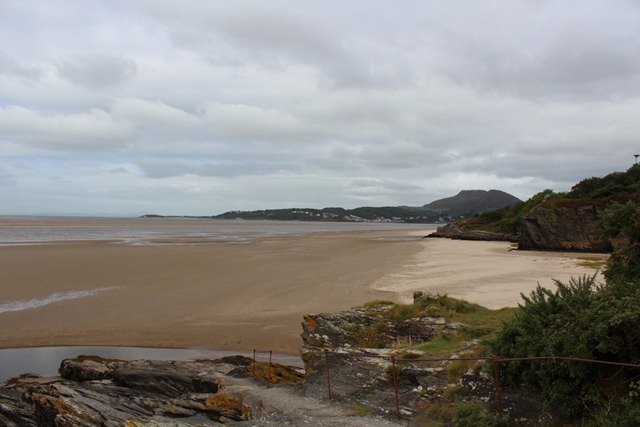 We headed for North Wales since it is close and has a seaside. 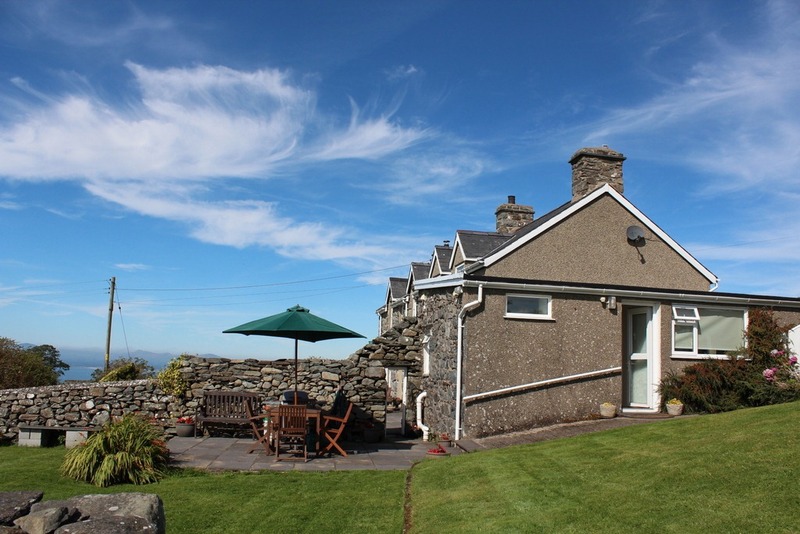 We booked Rhiwgoch Bach, a cottage above Harlech, proprietors Ieuan and Gwen Edwards. Gwen provides rather fine Welsh cakes (somewhere between a scone and a biscuit) as a welcome gift. Thomas fell asleep just before we left Chester at 9am and awoke as we arrived a little after 11am. 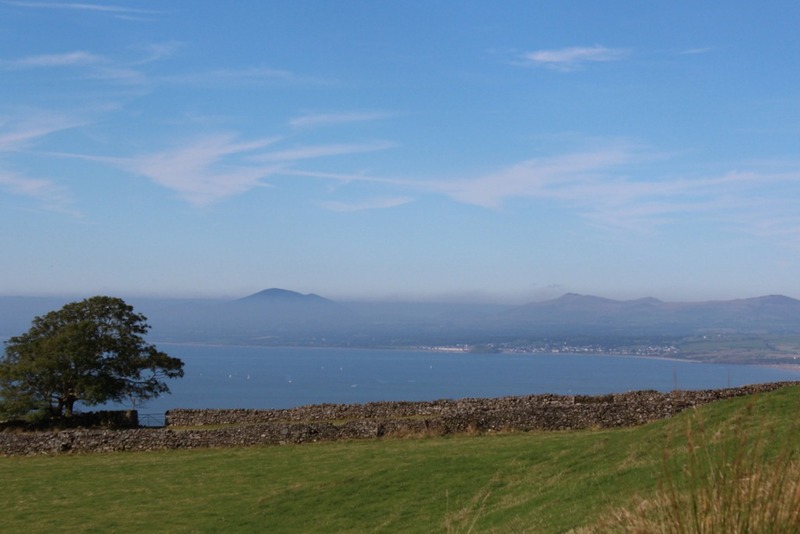 The drive from Chester is straightforward and rather scenic although the final stretch is up from Harlech is a narrow, steep twisting lane hemmed in at both sides by high stone walls with limited passing places. This is the route provided in the instructions to get to the cottage, it makes for a simple description but there is an alternative, rather less exciting route. The cottage has a large, well-equipped kitchen there is a little private garden – if only the weather had been fine enough to sit out in it. The views from the cottage are spectacular, out over the sea to the Llŷn peninsula, South to rocky Foel Ddu, surrounded by rough farmland. In the afternoon we visited Harlech, it clings to the side of a steep drop down to the sea with the castle sitting on a rocky promontory. The weather was warm, mainly sunny. 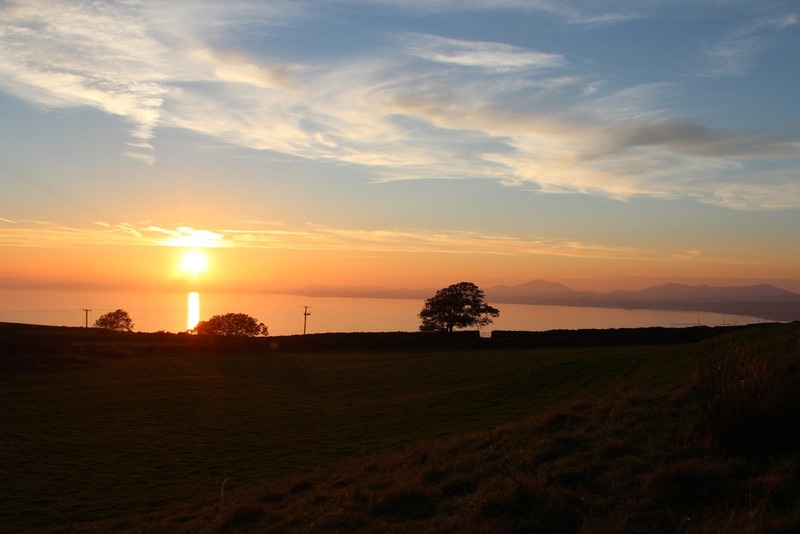 Sunset over the Llŷn peninsula was glorious. Thomas helped us with some stargazing by waking us a couple of hours after he’d gone to bed. In a perfectly clear sky, with little light pollution (apart from the cottage security lights), we saw the Milky Way. The weather more overcast today, in the morning we went down to Harlech beach, a huge expanse of sand. In the afternoon we walked up the road and headed to Foel Senigl, a little hill. We didn’t quite reach the top because the track from the road didn’t lead there. As the afternoon drew on the clouds came in and it rained, and was windy. Thomas was happy in the cot until about midnight. Rain menaced for most of the day, in the morning we went to Porthmadog to do some food shopping. The harbour is pleasant enough and there are a number historic railways. The rest of the town I found a bit grim. In the afternoon we went to the beach at Llandanwg, this is closest to the cottage and on a rather more manageable scale than Harlech beach. It has rockpools but more comprised rocks on sand than rocks with holes in them. 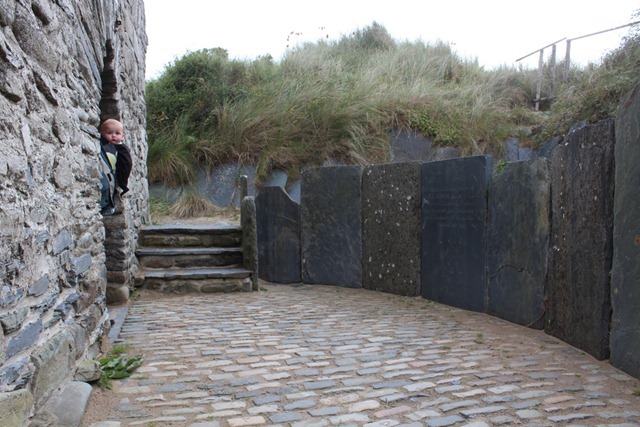 Behind the beach is a small church with a graveyard full of old slate gravestones, and some short-cropped grass leading down to an estuary. Thomas has his first tooth, it’s one of his lower incisors – it isn’t visible but to the touch his gum feels toothy rather than gummy. A little surprised to find the weather relatively clear, but very breezy. 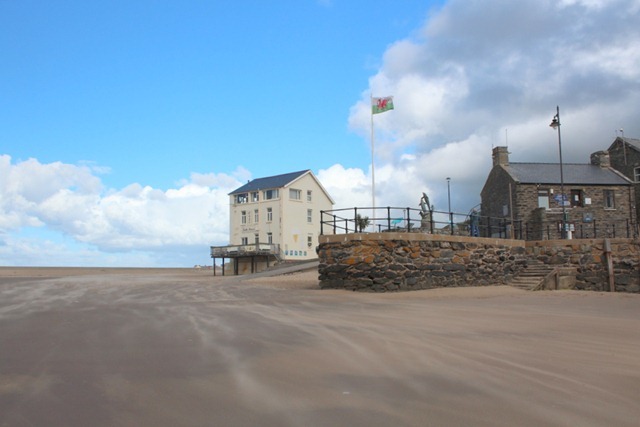 We headed down the road to Barmouth which is a Victorian seaside resort. It has a lengthy promenade to walk along and once again the harbour area is pleasant with some fine stone buildings, the town has some fine old stone buildings and a lot of shops selling seaside tat. It seems to have a lot of tattoo parlours for its size, and a disturbingly named “arousal Café”, surely the result of a lost letter. In the afternoon the weather continued fine so we went to Harlech castle, this turns out to be a high value for money investment – the castle has a spectacular location looking out from a rocky promontory across the estuary to Porthmadog and the hills of the Llŷn peninsula. 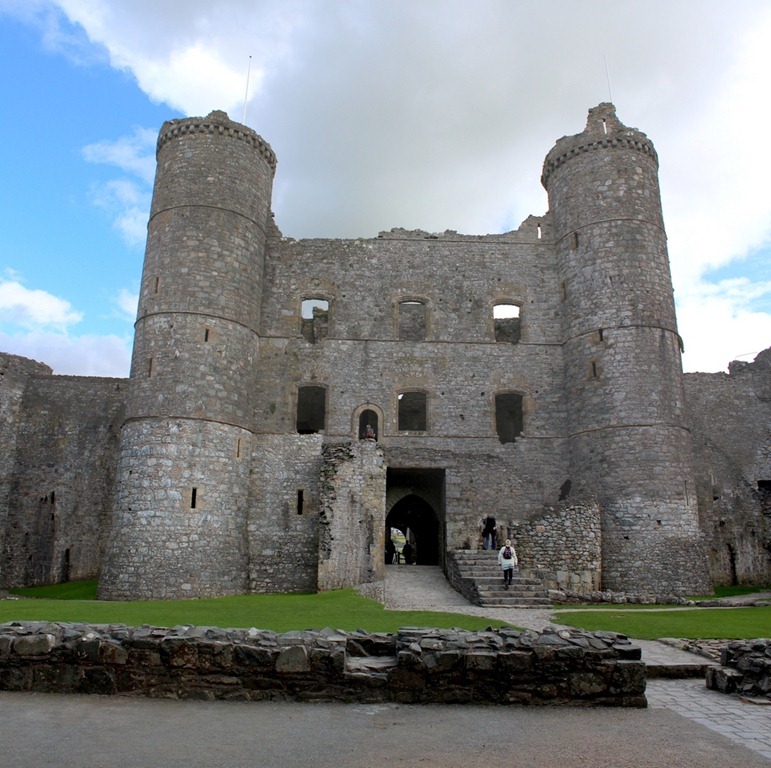 The castle itself is relatively intact, the outer walls almost complete but with most of the internal structure gone. It is possible to walk around the parapets. 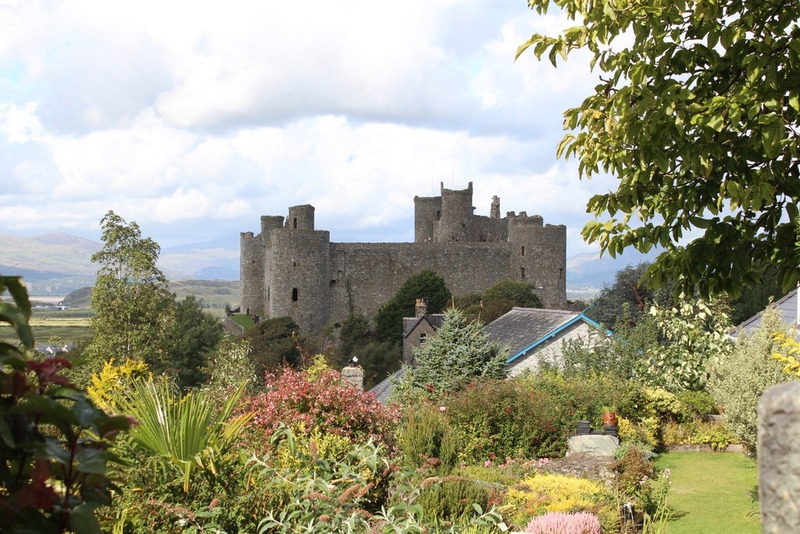 There is a small park along the road out of Harlech, going south, from which you get a good exterior view of the castle. 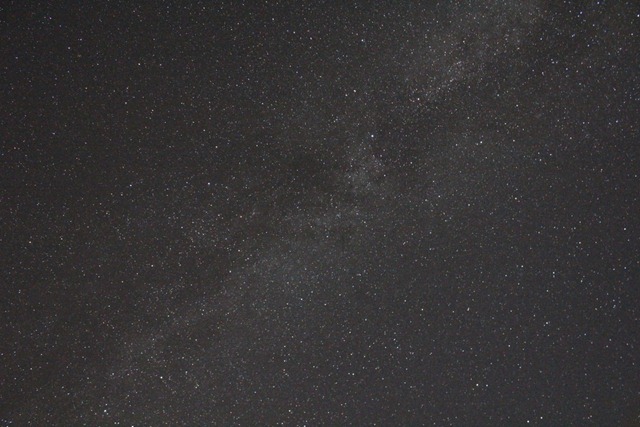 The sky was clear in the early evening so I had a go at some photography of the night sky, this worked surprisingly well, I have pictures of the Milky Way. I was held back a bit by not knowing how to use my planisphere, the unturn-offable security light and by the fact that constellation naming is more than a little random. In the morning we went to see the Nantcol waterfall up the valley from Llanbedr. This involved a bit of rough walking, although nothing compared to previous holidays! In the afternoon the weather took a turn for the worse, the wind howled impressively around the cottage, we disappeared into a wet cloud and slept. 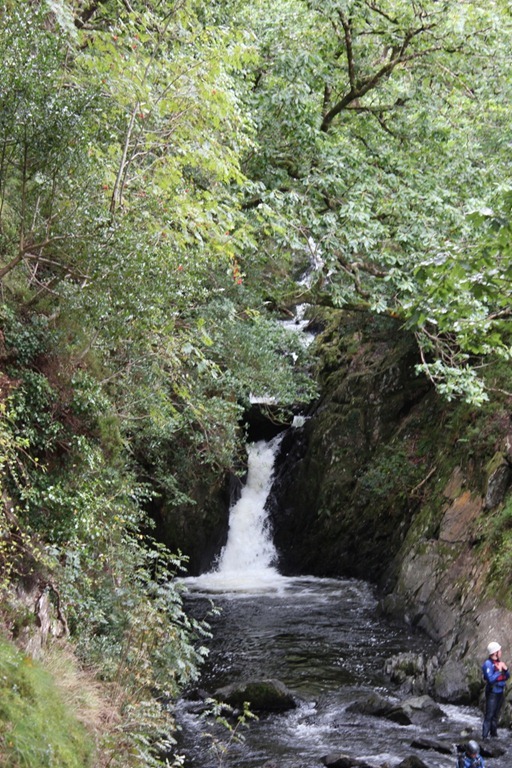 Our last day in Harlech, in the morning we visited Portmeirion which was in the midst of preparations for the No. 6 festival. The village is bizarre but attractive it’s the sort of weird mock-Italianate style I might adopt if I had money to burn. 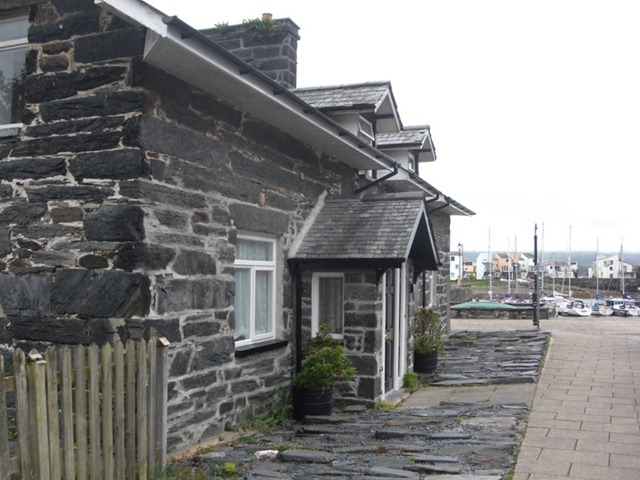 As well as the village the coast on the estate is very fine with views out across the estuary. In the afternoon we went down again to a blustery Llandanwg beach. We returned home on Friday morning, Thomas sleeping all the way home. I see from the map you were very close – sorry, didn’t realise! Had a lovely time in Harlech though, and it’s only a couple of hours easy drive from Chester so we may well be back.